Macular degeneration. Where we are in clinical practice, J.Monés. 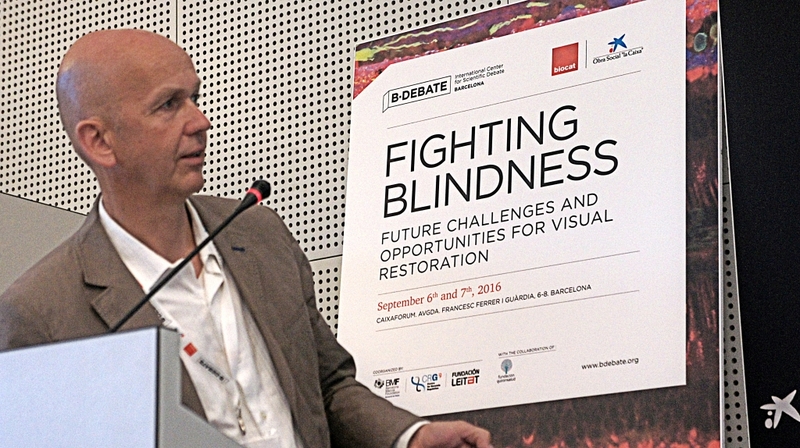 Jordi Monés (Barcelona Macula Foundation: Research for Vision). 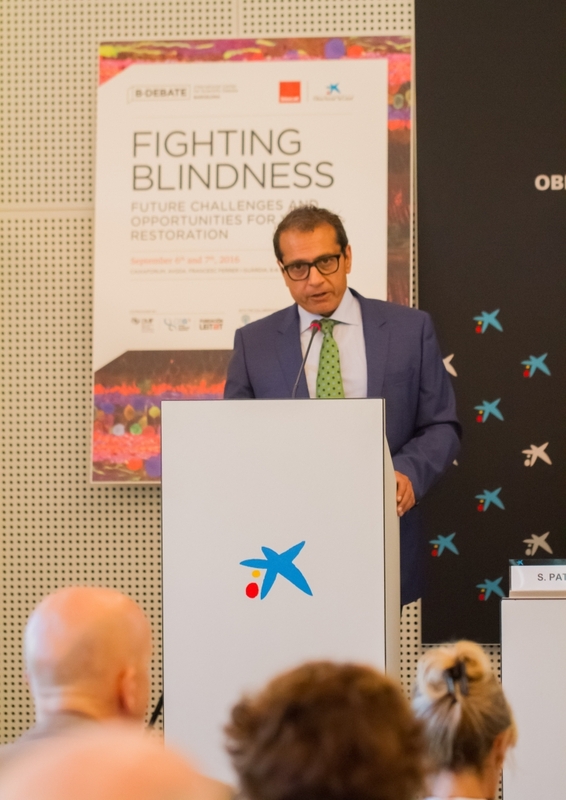 Anti PDGF therapy for exudative AMD: addressing the fibrosis pathway, S.Patel. Markers and Mechanisms in Maculopathies: a systems view, M.Ueffing. Marius Ueffing (Institute for Ophthalmic Research Tübingen). Towards a systems-oriented view of the molecular pathology of AMD, C.Kiel. Christina Kiel (Centre for Genomic Regulation, CRG). 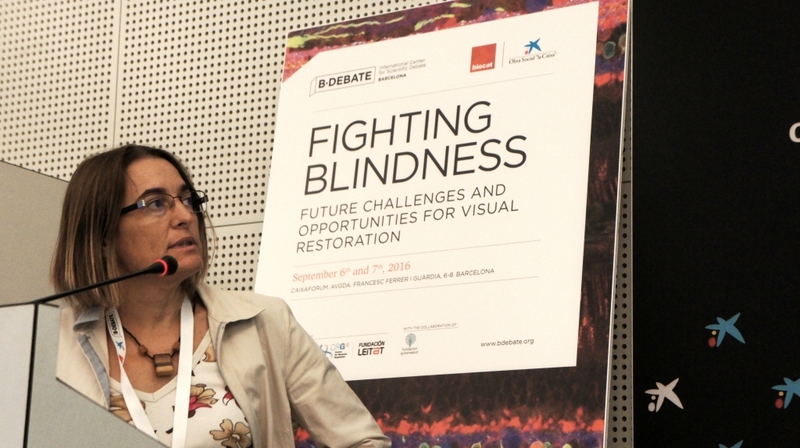 Cellular response associated to retinal diseases and therapeutics approaches, N.Cuenca. Nicolás Cuenca (Universidad de Alicante). Foto: Jordi Moner. 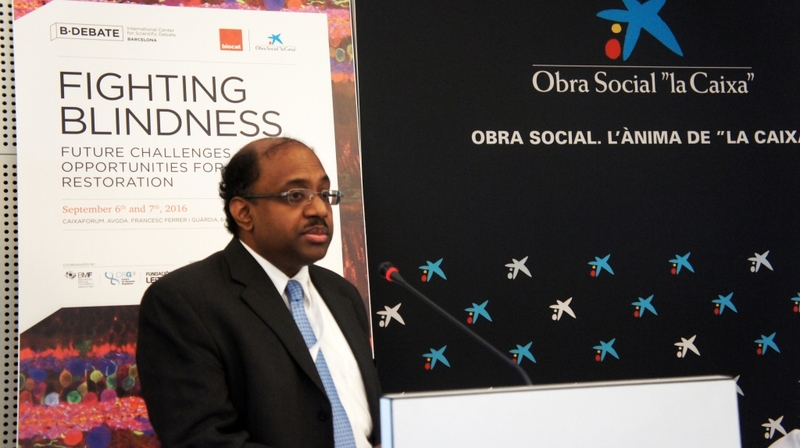 KEYNOTE SPEAKER: A molecular road to a therapy for Dry AMD, J.Ambati. Jayakrishna Ambati (University of Kentucky). 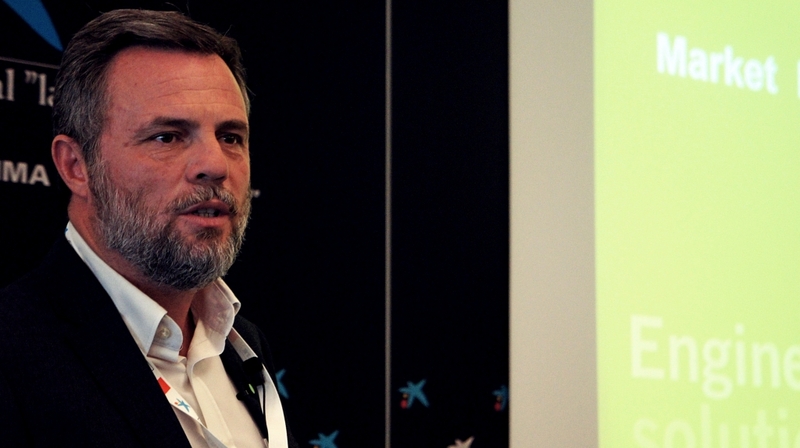 Medical Nanochemistry, the use of reactive inorganic nanoparticles in medicine, V.Puntes. 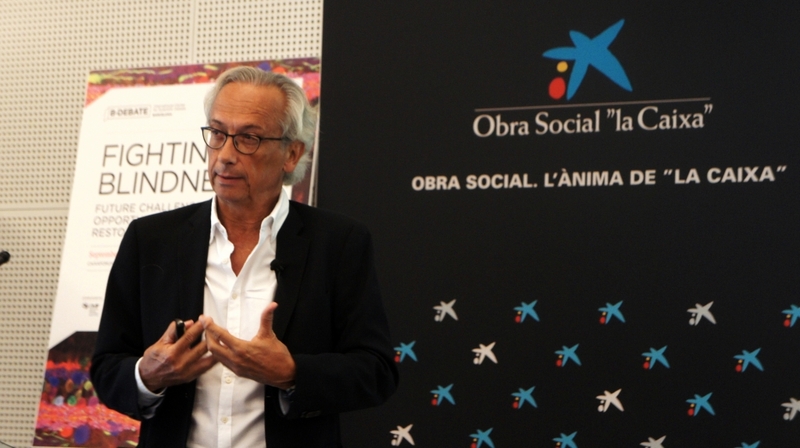 Víctor Puntes (Vall d’Hebron Institute of Research, VHIR). 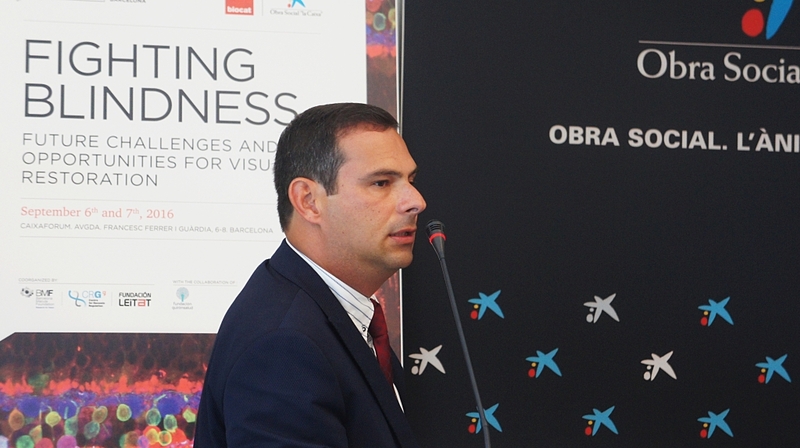 Non-viral gene delivery for the treatment of inherited retinal disorders, G.Puras Ochoa. Gustavo Puras Ochoa (Universidad del País Vasco). 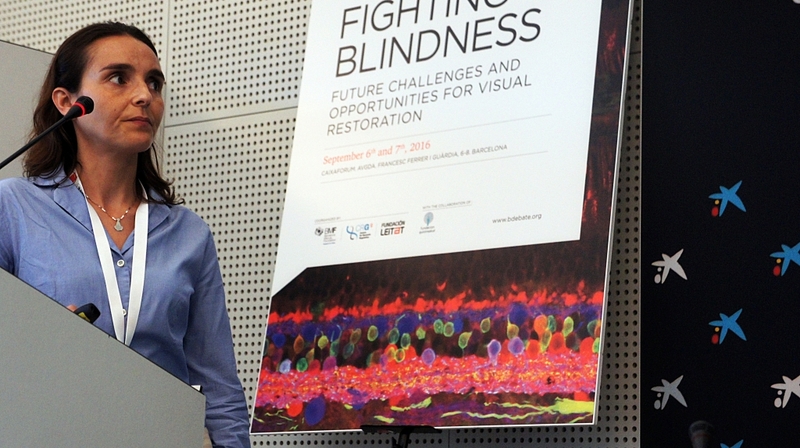 Retinal degenerations: Animal models and new therapeutical approaches, G.Martínez Navarrete. Gema Martínez Navarrete (Universidad Miguel Hernández). Genetics. The case of the EYE RISK project. C.Klaver. The role of mithocondrial genetics on the development of AMD, B.Kupperman. Baruch D. Kupperman (University of California). 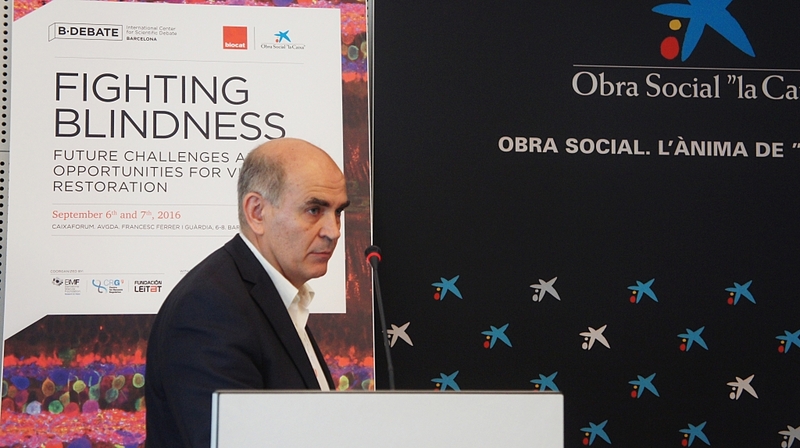 Gene therapy in retinal degenerative diseases, looking for therapeutic targets, F.Díaz Corrales. 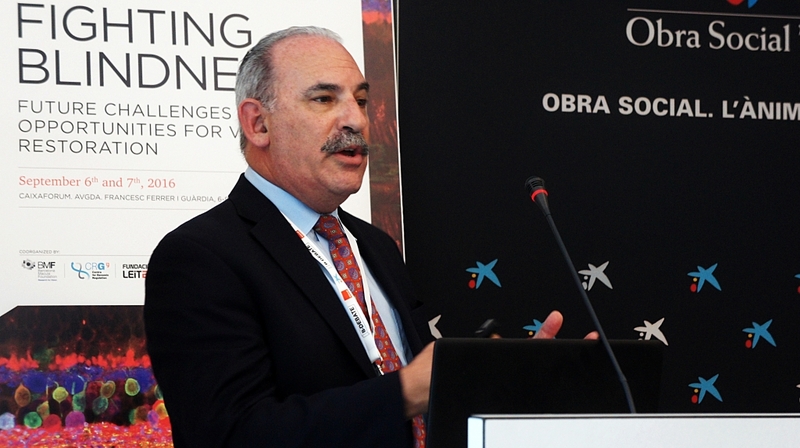 Francisco Díaz Corrales (Centro Andaluz de Biología Molecular y Medicina Regenerativa, CABIMER). 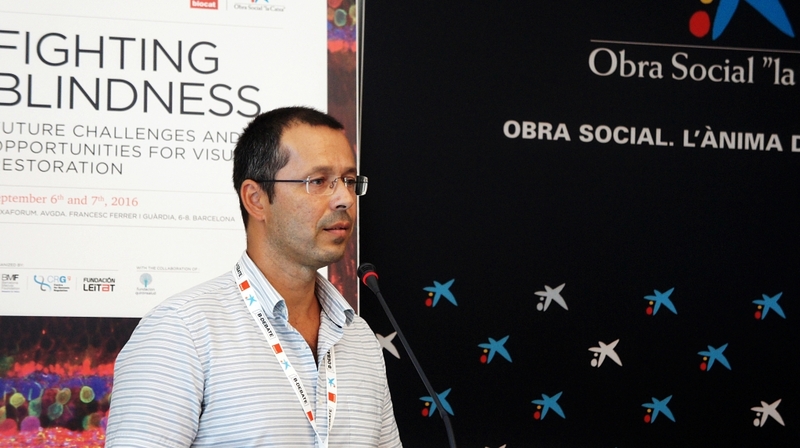 The use of advanced microscopy techniques for ophthalmological applications, P.Loza. 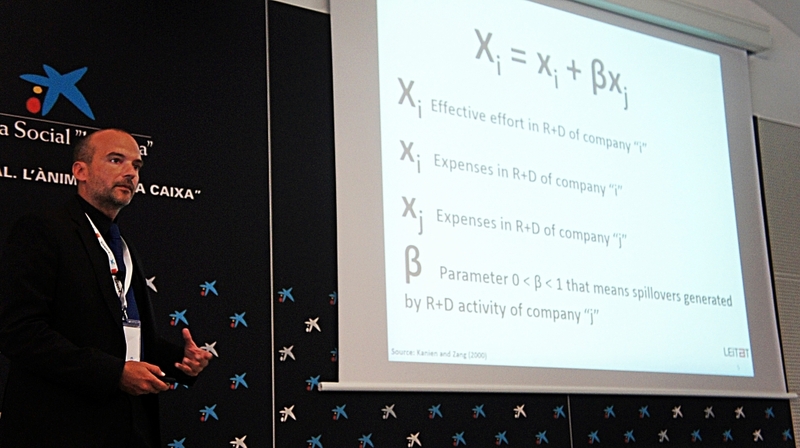 Pablo Loza (Institute of Photonic Sciences, ICFO). 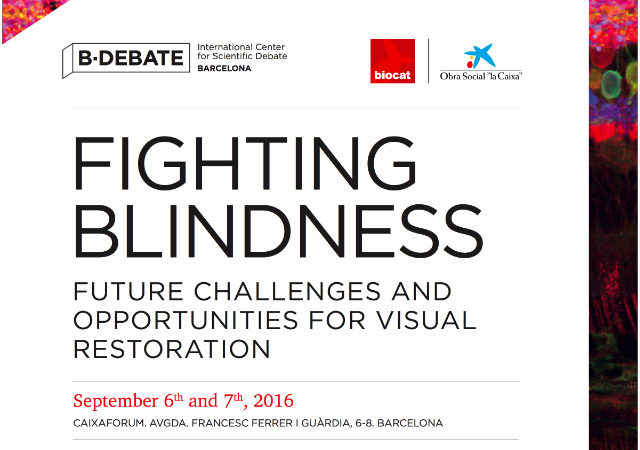 High resolution retinal imaging: the case of LITE project, D.Merino. 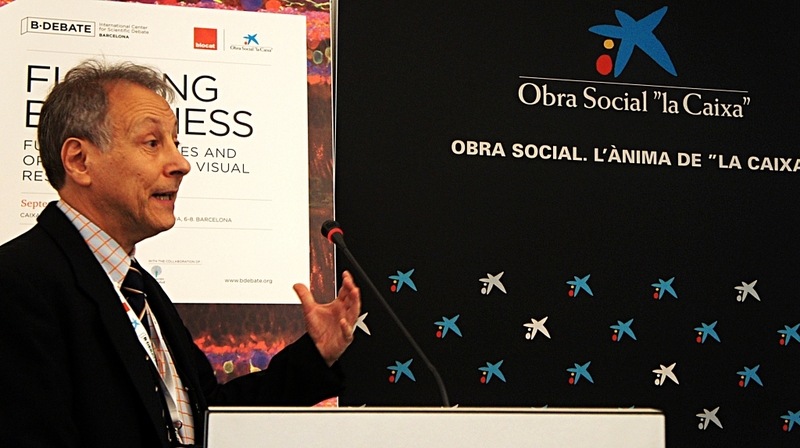 David Merino (Institute of Photonic Sciences). From taking a PEEK to wide-field imaging: how imaging best serves translational research?, T.Peto. Tunde Peto (University College London). Visual neuroprosthesis: Current status and future prospects, E.Fernández. Eduardo Fernández (Universidad Miguel Hernández). Marco Zarbin (Rutgers New Jersey Medical School). Advanced cell therapies for AMD, B.de la Cerda Haynes. 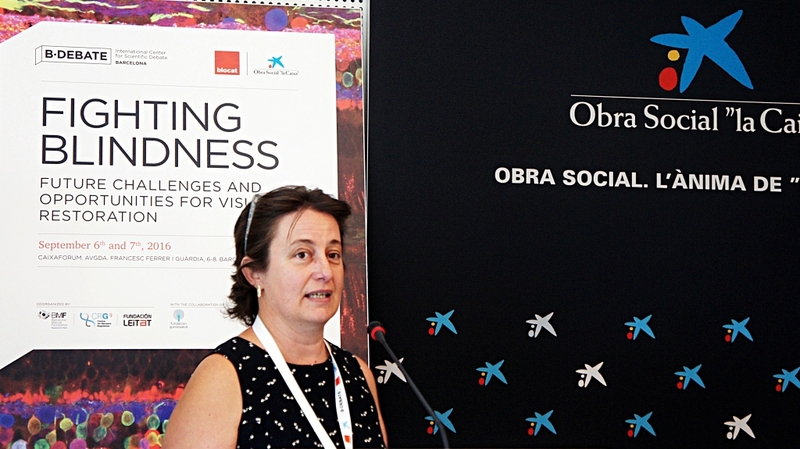 Berta de la Cerda Haynes (Centro Andaluz de Biología Molecular y Medicina Regenerativa, CABIMER). 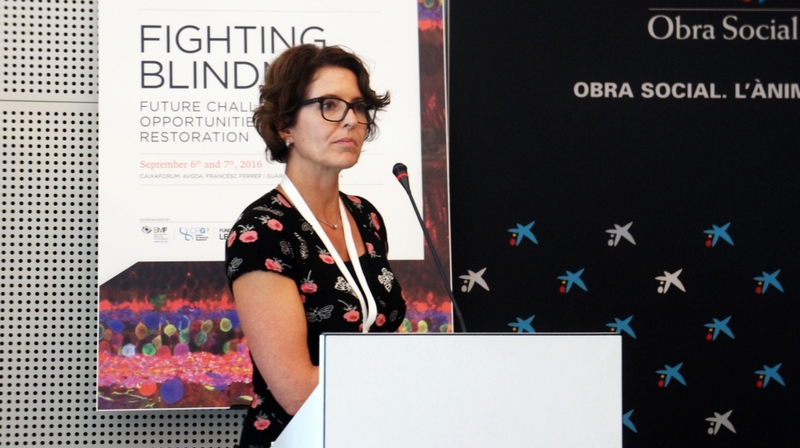 Pluripotent stem cells for retinal disease, research and clinical application, A.Veiga. 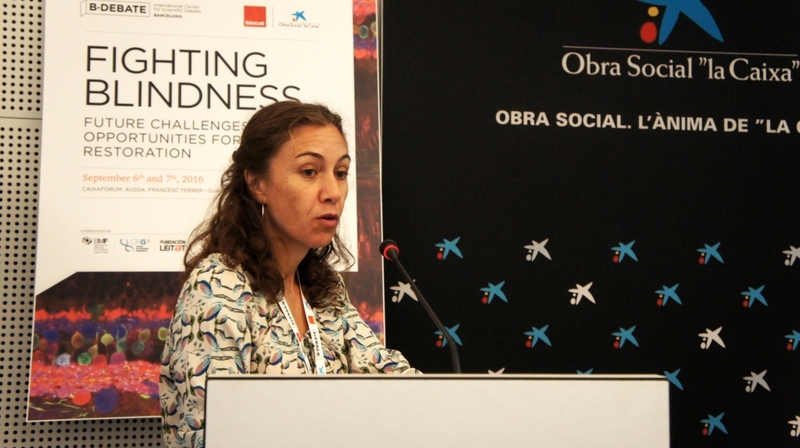 Anna Veiga (Centre de Medicina Regenerativa de Barcelona, CMRB). 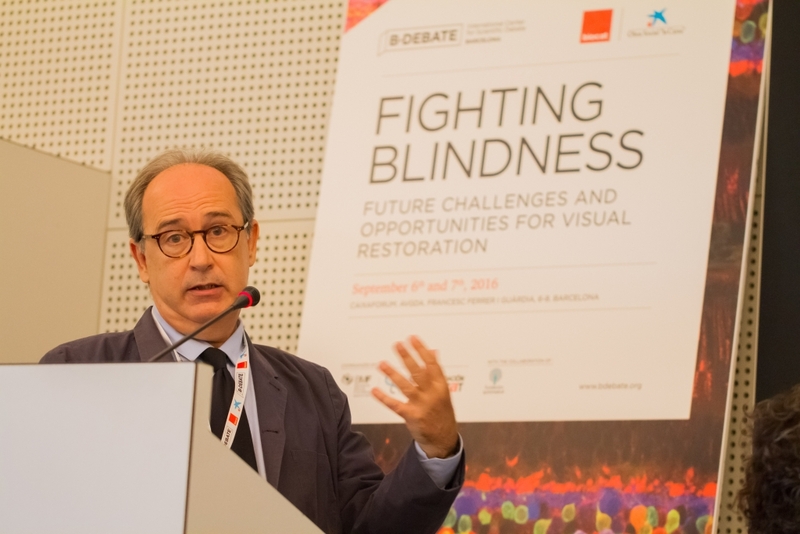 Use of induced pluripotent stem cells and direct lineage reprogramming in cell therapy for eye regenerative medicine, B.Álvarez. 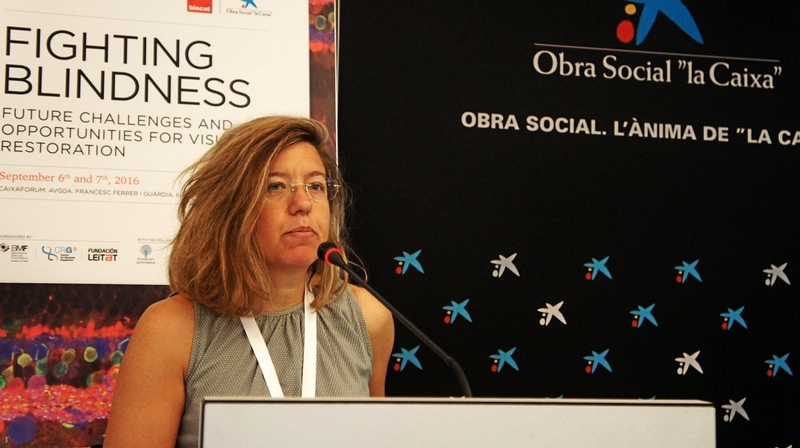 Ana Belén Álvarez (Universitat de Barcelona). 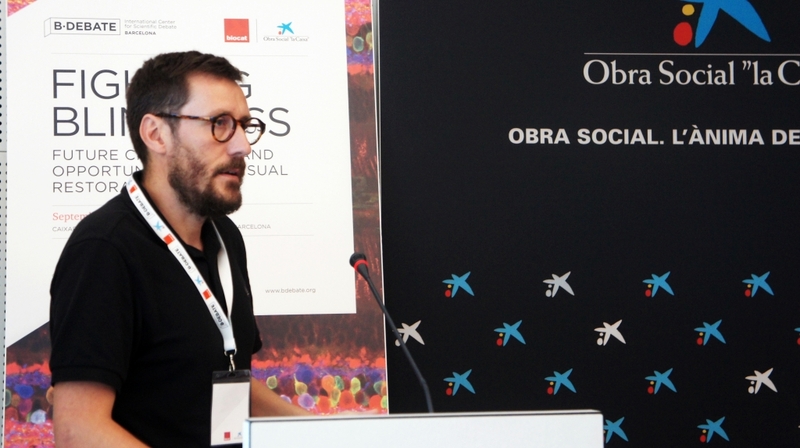 Improving the quality and characterisation of stem cell reprogramming and analysing the genomic stability and immune response, M.Edel. 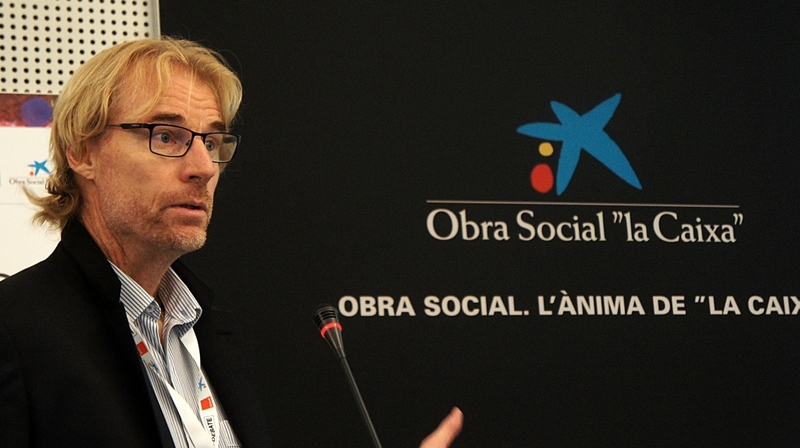 Michael Edel (Universitat de Barcelona). 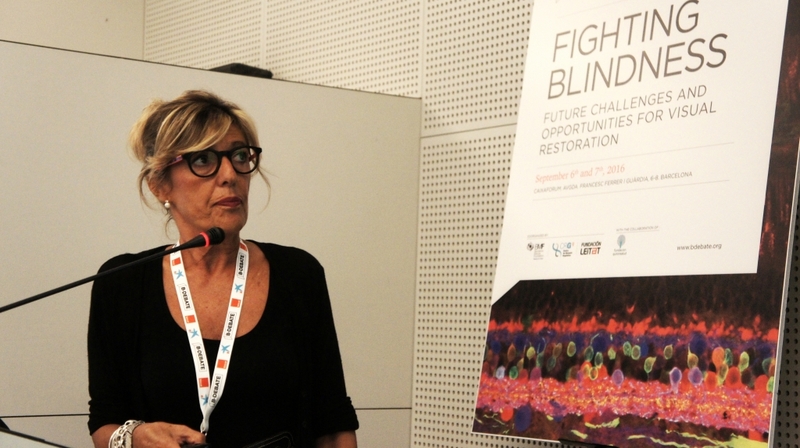 Adult progenitor stem cells: applications for cell-based therapy in degenerative retinal diseases, R.Casaroli. 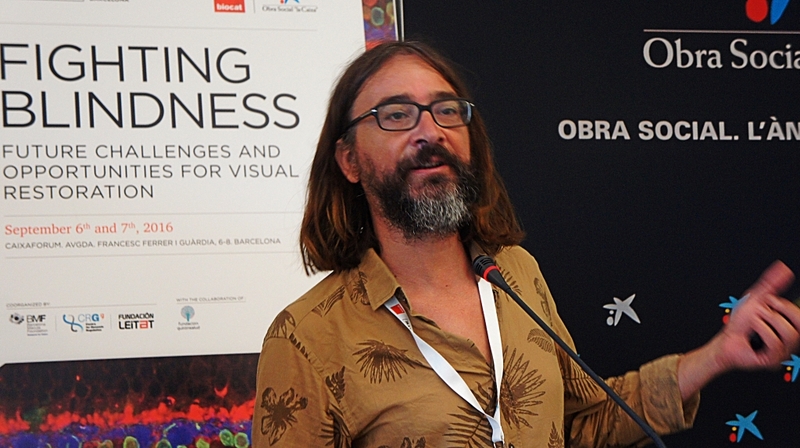 Ricardo Casaroli (Institut Clínic d’Oftalmologia, ICOF). 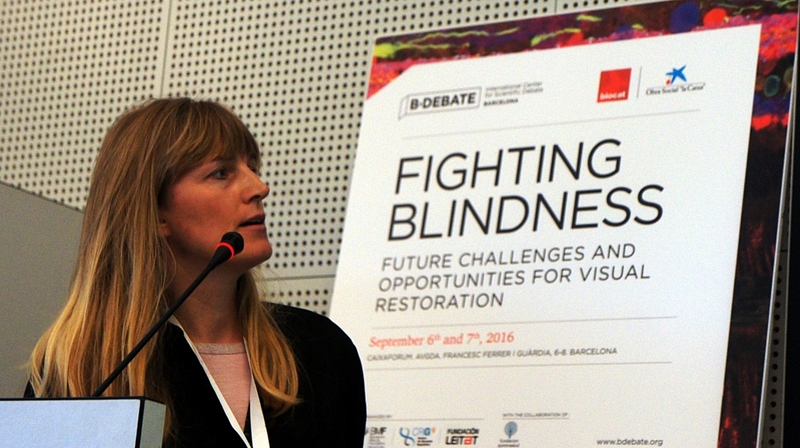 Retinal regeneration via cell fusion mediated reprogramming, P.Cosma. Pia Cosma (Centre for Genomic Regulation, CRG). 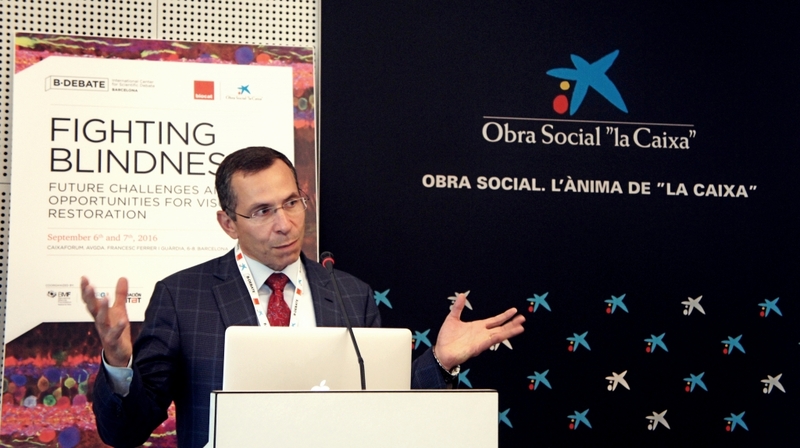 KEYNOTE SPEAKER: HIV brought us to Microbiome study, B.Clotet. Bonaventura Clotet (Institut de Recerca de la Sida, IrsiCaixa). 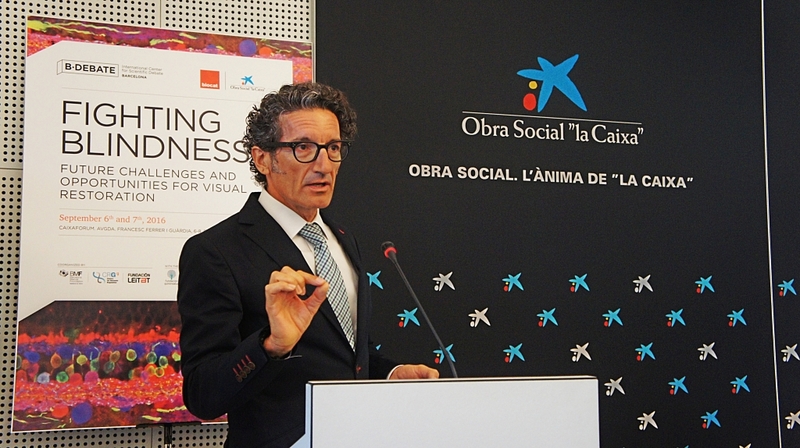 Xavier Rubíes Feijoo (Institut de Bioenginyeria de Catalunya, IBEC). Sergi Artigas (Centre Tecnològic LEITAT). 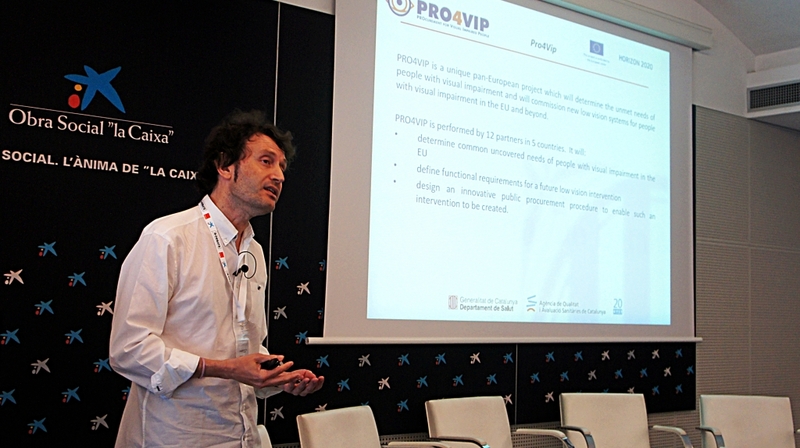 Innovative schemes though demand-driven procurement for procuring early detection services: the case of the PRo4VIP, R.Maspons. 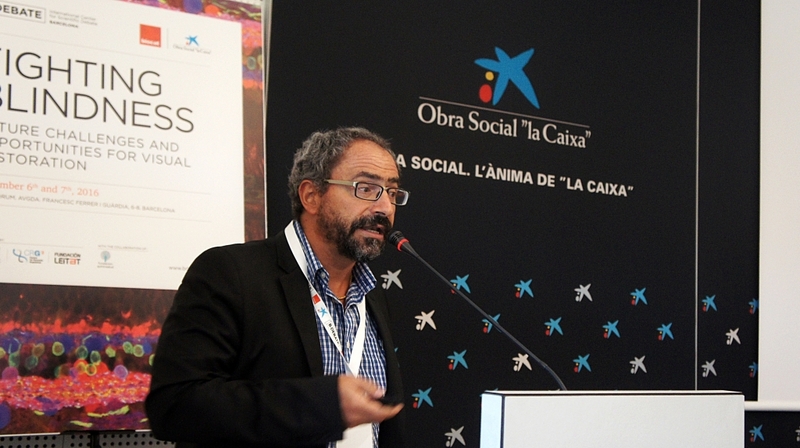 Ramon Maspons (Agència de Qualitat i Avaluació Sanitàries de Catalunya, AQuAS).